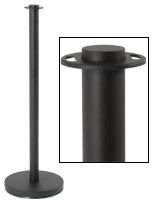 Powder-black finish coordinates perfectly with black-powder coated QueuePole.Deluxe Stanchion! Non-glare lenses for easy viewing from any angle! 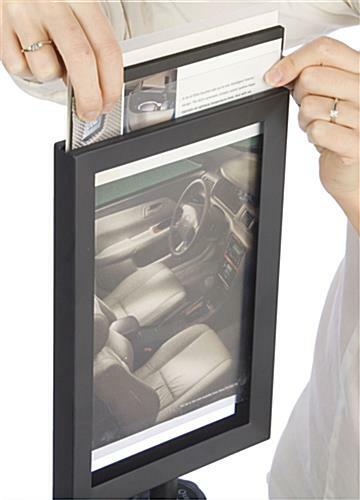 Double-sided frame expands message scope! This stanchion sign is designed to coordinate with our QueuePole. Deluxe rectractable belt stanchions. 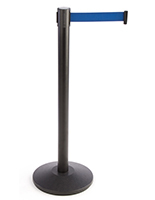 The stanchion sign, also known as a sign frame, screws right into the top of your existing QueuePole post. 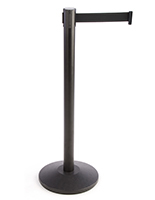 A stanchion sign is a great way to communicate information to guests, customers or patrons. 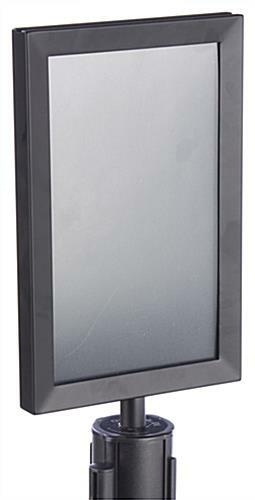 Banks, nightclubs, museums, churches, and restaurants are great places to use stanchion sign toppers. Use the stanchion sign to display messages like: 'Line Forms Here', 'Please Wait Here For The Next Available Teller', or 'Must Be 21+ To Enter'. 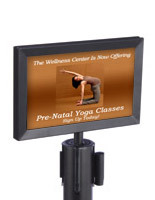 The stanchion sign accepts two 7" wide by 11" high graphics. 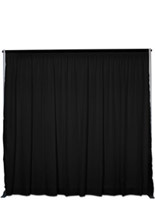 Your graphics will be sandwiched between an expanded PVC backer and a non-glare protective lens. 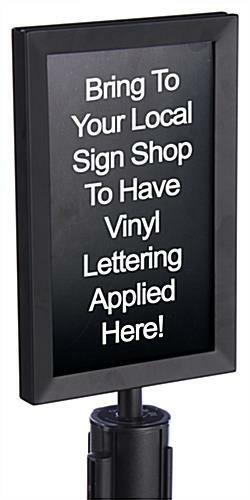 This sign frame, stanchion sign features a beveled edge with black powder coating. If you have a permanent message you'd like to be displayed, you can bring the stanchion sign backer to your local sign shop to have vinyl letters applied. 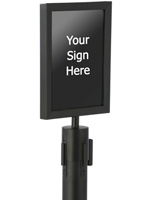 The sign channel is 5/16" wide to accommodate the 3/16" expanded PVC backer, your two signs, and two non-glare protective lenses. In order to ensure your signs fit within the sign channel, we recommend using signs no thicker than traditional poster materials. 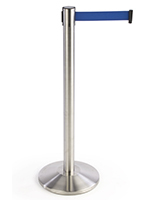 This affordable stanchion sign is just another great addition to the successful QueuePole.Deluxe line of stanchion posts. 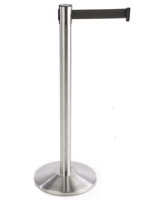 Please Note: This sign bracket fits only QueuePole.Deluxe Round Series retractable posts (sold by Displays2Go) and will not fit posts from other manufacturers or with other brand names. 7.3" x 16.0" x 1.0"